Description: The stunning Cartier pendant pairs a Creme Carrare Idalight shade with a frame and hardware which are featured in an Oil Rubbed Bronze finish. 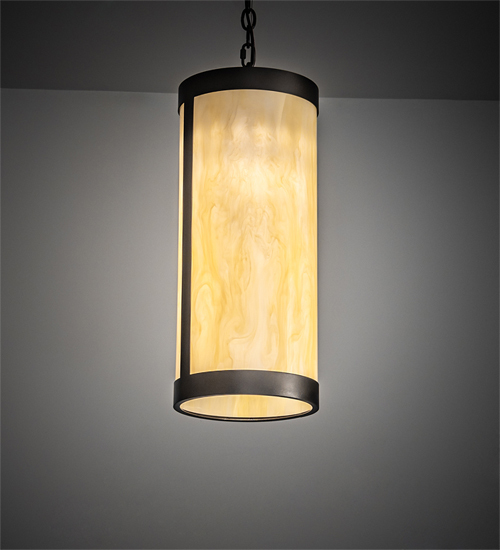 The pendant is steel constructed and hand finished for interior and exterior applications. The overall height ranges from 29 to 89 inches as the chain length can be easily adjusted in the field to accommodate your specific lighting application needs. Custom crafted by highly skilled artisans in our 180,000 square foot manufacturing facility in Yorkville, New York. Custom options include special sizes, styles and finishes. UL and cUL listed for dry and damp locations.